We are picking up Come and Hug Me to live recap, which is a show that reads as a boiling hot mess. It has psychopathic serial killer father with a lot of children from several marriages, I am guessing he killed all his wives. One of the marriages produced a police officer son with a thug brother whose love interest is possibly the victim of the father. So, one persons father killed the other persons Mother yet they fall in love because: healing. Lol, I can’t even deal. But I want to support it due to the two leads who I love. 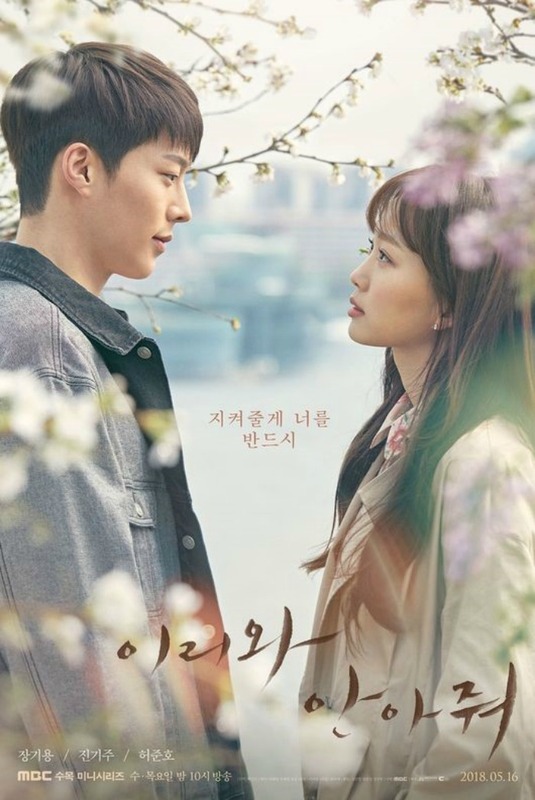 Come and Hug Me stars Jang Ki-yong (장기용) and Jin Ki-joo (진기주) in their first lead roles which basically fell into their laps amidst casting difficulties and is probably the only reason they took on this crazy sounding drama. 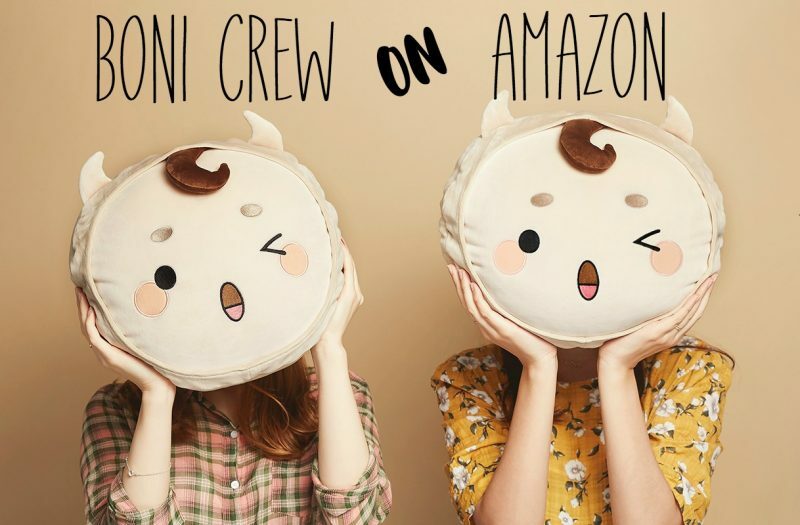 It is a show that publicly approached Suzy, Nam Ju-hyuk, and Seo Ye-ji; the later of which deciding to take on Lawless Lawyer instead. The pairing of Suzy and Nam Ju-hyuk had a lot of people initially scratching their heads, but it mostly just made me wonder which other stars they approached not so publicly who were like, nope. 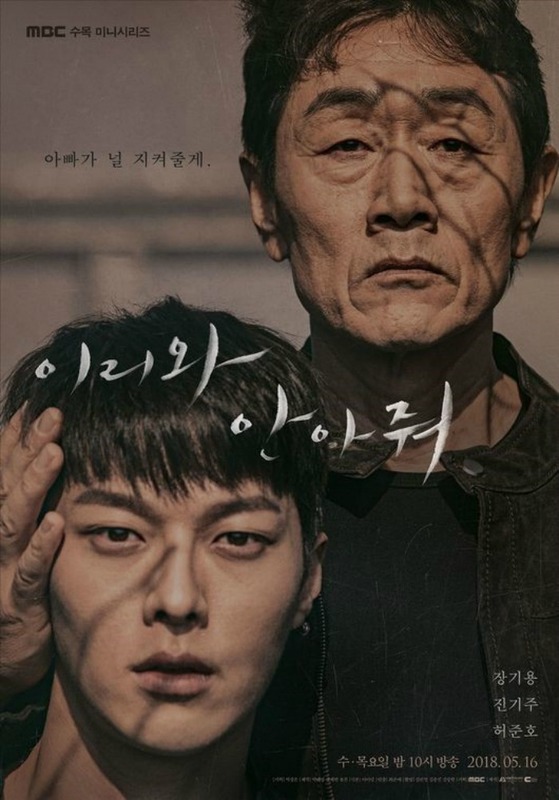 I kind of feel like MBC is pushing this drama as an actor building drama, kind of like, “Hey, these actors can practice their acting chops with this drama. There will be a lot of crying and looking sad moments and it will be beautifully shot.” With two models at the helm, beautiful is one thing this drama will have in spades. I mean, just look at these posters. 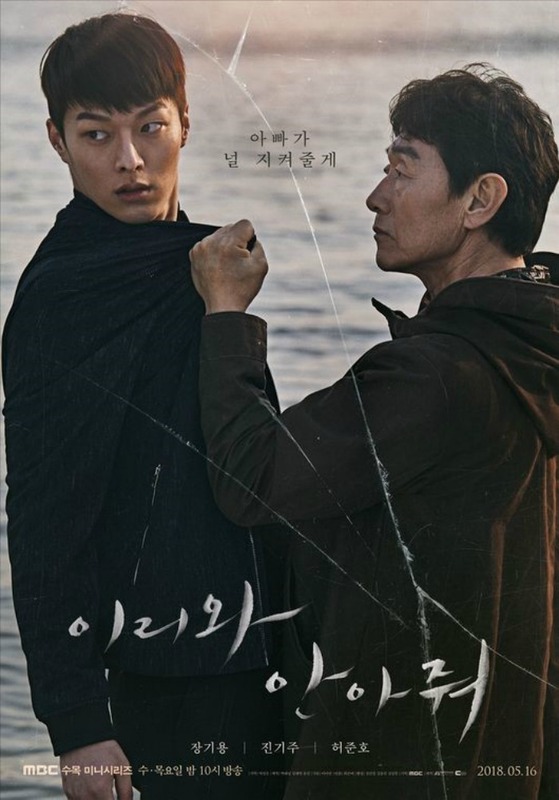 As far as a poster description goes, both posters with Jang Ki-yong and Heo Joon-ho have the caption: “Appa will protect you.” However one image show appa protecting his son with his hand preciously holding his sons head, but the other basically has him by the collar like he is about to smack him and it also has a cracked screen which screams that something bad is about to happen. This makes me wonder if the caption could read “Appa will take care of you” because that better illustrates the dual meaning of the posters. The first poster also has the appearance of a photo being worn, which I believe conveys something. Perhaps the amount of time the father has tried to look after his son? Then the last image could be the photo breaking illustrating their broken relationship. 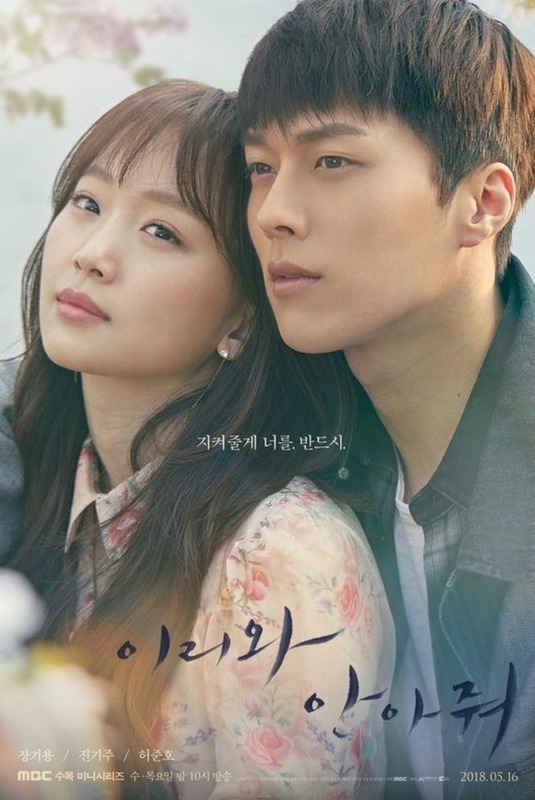 Both posters with the two lovers says: “I will protect you, definitely” which can also be translated as “I will protect you, certainly.” The couple is surrounded by Cherry Blossoms and these images are crystal clear which illustrates their brand new and untarnished love for one another. However, in this case, we all know that the blossoms of a Cherry Blossom tree are fleeting, which could show the strife the couple will have to endure later. Hopefully they will weather this appa storm about to hit them. But honestly, I feel like this is the kind of show were no one will end up happy. Come and Hug Me airs May 16th at 22:00 on MBC. Thank you so much. May seems exciting. I love both these leads too! But are their roles related?? No please, dear God no fauxcest….I am so tired of that. isn’t the young guy the worm of an *ssh*le currently harassing our poor Ji-An in My Ajusshi?? and now he’s a cop? LOL. this is twisted. The lead is doing pretty well in My Ajusshi, so maybe this won’t be a model showcase after all? Yes, he is really amazing in that drama and he was lovely in Go Back Couple. am so glad u are taking this on. it sounds good. am super impressed with him and his diverse roles. this sounds as crazy as My Mister. (which i love) I hope its as well written and acted.